For pet owners there’s nothing like spending time with their beloved animals. Unfortunately, sometimes we are too busy to take care of our pets and yet we don’t want them to be and feel neglected. While you’re away from home, hiring pet concierge services might be a good idea. If you need someone to walk your dog, to check out your fluffy kitty or to take your ferret to a vet, but you don’t have enough time for that, it’s recommended to hire someone who’s ready and willing to do that for you. Pet owners whose work and/or travel keep them away from their beloved companions have probably considered various pet-care solutions: from asking for a help from a neighbor or a friend to hiring a professional pet sitter. A responsible, educated, professional pet-care provider is, obviously, a great choice if you want the peace of mind and what’s best for your pet. What do pet sitters actually do? 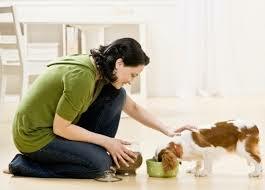 Pet sitters take care of your pet in your own home while you are away. Therefore, dog walking can be considered as a form of pet sitting, due to the fact that it involves someone coming to your home and provide companionship and exercise to your dog. Owners usually hire pet sitters when going on a vacation, traveling for business or when then need to work long hours. A pet sitter performs a variety of tasks, such as feeding the animals and providing them with fresh water, playing with them (including dog walking), cleaning up (litter boxes and other pet messes), when required they can also administer medications. Simply put, a pet sitter provides your pets with anything they need: a long walk, a trip to a vet or a cuddling time! 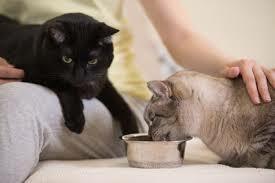 Usually, a pet sitter offers more than one visit a day, while in some cases, even overnight stay is included. You can also ask them to bring in newspapers and mail and to alternate lights and blinds; this way your home will get that “lived-in look” even when you’re away for weeks. In some cases, a pet sitter may also perform some other tasks a pet owner requests. Pet owners have been increasingly using pet concierge services, especially pet sitters because of all the benefits of an in-home pet care. 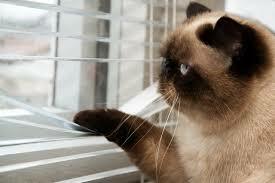 What are the advantages of leaving your pets at home instead of taking them to pet boarding facilities? Although the latter is not a bad choice, the fact is that pets experience less stress and are happier at their homes. Their exercise and diet routines aren’t interrupted, there’s no travel trauma and they aren’t exposed to illnesses. Finally, why is it better to hire a professional pet sitter instead of someone who simply loves animals? Professionals are experienced and trained in working with pets and they know how to give them what they need based on the individual habits, fears, likes and dislikes of a pet. 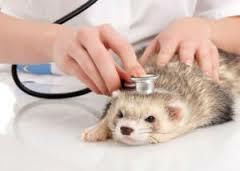 If necessary, they are able to react effectively and quickly; they know when your pets need vet’s attention. To cut the long story short, a professional pet sitter does this for living and has a necessary experience to take care of your beloved animals. 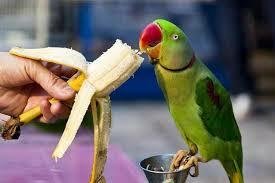 If you’re looking for pet services in the SF Bay area, Hyderabad and Benguluru in India, visit MyUnikorn.com. This company’s mission is to help you to take good care of your beloved pets. MyUnikorn offers a vet on request (for wellness, non-emergency and minor care) and same-day delivery of pet food, toys and other needs. Also, you can create your pet’s profile there and join the forum to discuss anything pet-regarding with other pet owners from around the globe.